Yellowknife residents and councillor candidates are getting to know each other. 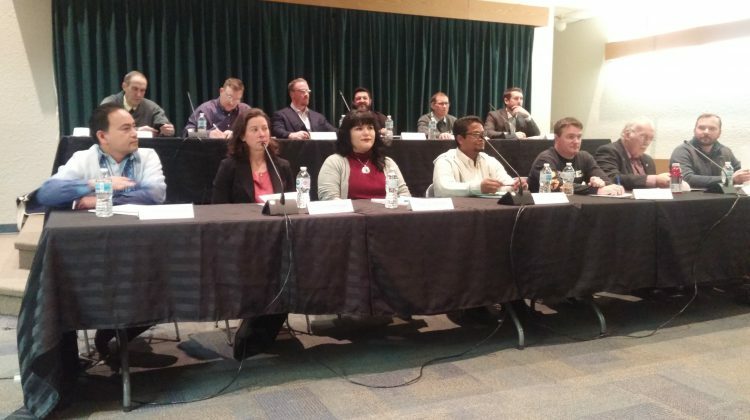 Thirteen of the 16 candidates took part in a forum hosted by the Chamber of Commerce at Northern United Thursday night. Hot topics included making the city more tourist friendly, budget priorities, GNWT funding gaps, and making the city more attractive for business investment. Audience member David Wasylciw asked them about high paying businesses. He wants to know what council can do to bring employers that pay enough that people can afford to own houses in Yellowknife. After the event, resident Lysia Bardak says she was happy to hear about the questions on diversifying the economy, starting up and bringing in more tourist businesses and not relying on mines. Yellowknifers took part in the forum in force, filling the seats at the forum, and watching on the live stream on the Chamber’s facebook page. Executive Director of the Yellowknife Chamber of Commerce Dineen Everett says many members of the Chamber are excited during municipal elections because it’s an opportunity to choose the new leaders of the community. The second councillor forum will be hosted by Alternatives North on October 10th at Northern United. Yellowknife’s municipal election day is on October 15th.